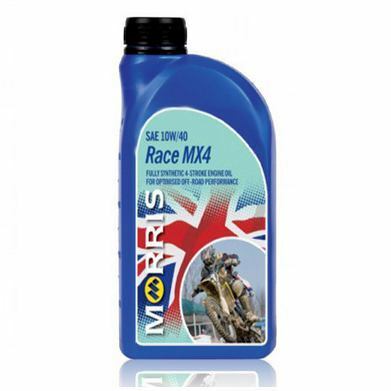 Action MX4 is a high performance competition engine oil derived from the latest developments in additive technology. 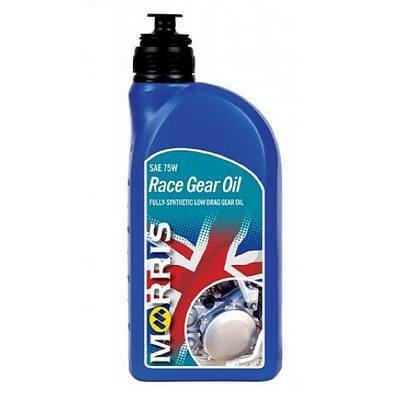 It has been formulated to cope with the tough demands of Motocross and Off-road engines and gearboxes. Under these conditions, maximum protection and cleanliness is of the utmost importance. 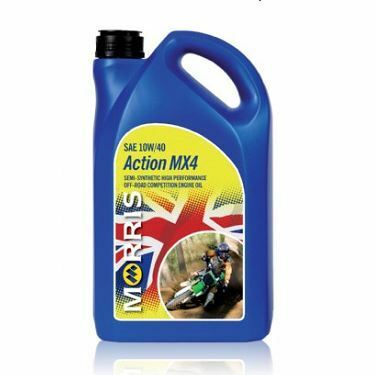 Action MX4 circulates quickly from cold and provides a strong lubricating oil film at high temperatures. Originally developed in Scandinavia this unique combination of active surface agents, sequestrants and alkaline builders was designed to chemically remove road film from vehicles. This reduces the need for mechanical agitation and rapidly lifts dirt, grime, tar and oil from painted surfaces. Ideal for hot or cold pressure washers, contains a rinse-off additive and is biodegradable; a must-have cleaning products for any riding style! Can be used with great effect to restore tune to carburettors in situ, or with only partial dismantling, if these have become blocked stuck or dirty. 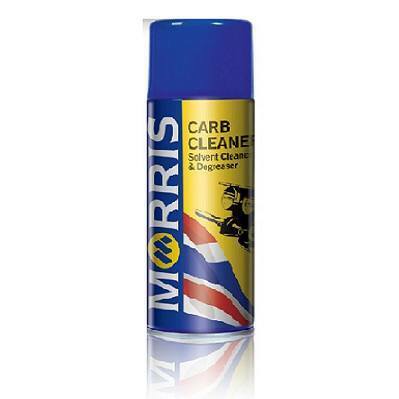 This makes CARB CLEANER a vital part of any pit crew kit. When sprayed in to the air intake this product cleans all parts of the inlet system, carburettors, port areas and inlet valves. In these areas it is most effective in keeping vital parts moving, and passages clear of gums and deposits, so a smooth system air flow can be maintained. This is vital because even slight surface roughness from deposits can ruin tuning and cause power losses. 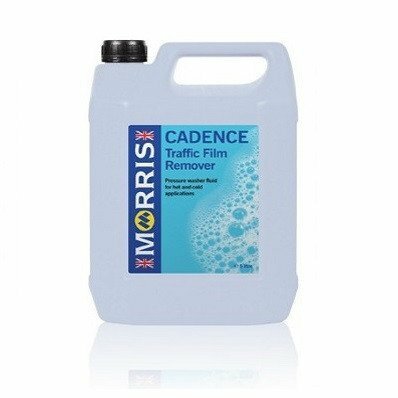 CARB CLEANER can rejuvinate classic racing bikes by reducing deposit build up within carburettors, freeing sticking valves and cleaning the manifold and ports. This action can give lower emisions and improved performance in terms of increased power. Spray onto all external or dismantled parts and wipe clean. To use for tune up purposes, remove air filter, force spray into all jets and orifices using the straw provided. Start engine, set throttle to around 2000rpm and spray CARB CLEANER into the air intake. Continue spraying until the revs start to die off, then allow the engine to recover. Stop engine and refit air filter. 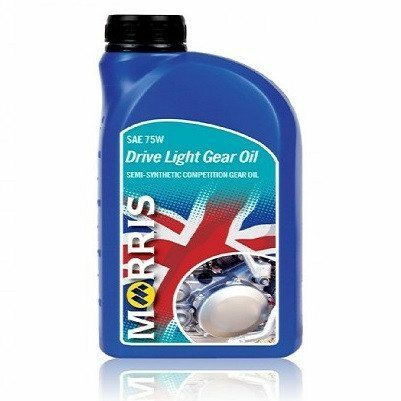 Drive Gear Oil Light is manufactured from an advanced synthetic base, special friction modifiers and other modern additives. Effective in protecting gears from effects of shock loading and high temperature operation. The best choice for high-performance road and race machines. For use when a SAE 75w or 10w/40 oil is reuqired by manufacturer. 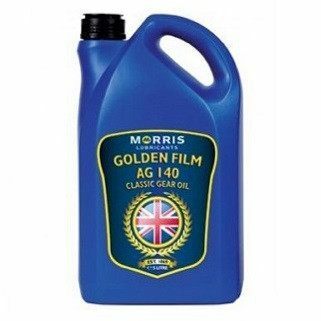 Golden Film AG Gear Oils are suited to use in equipment where the manufacturer specifies a non-EP lubricant. Golden Film AG Gear Oils are also safe for use in transmissions that contain phosphor-bronze components. Applications include Manual gearboxes, axles, worm gear drives, oil lubricated bearings, reduction gears/hubs, chains, steering boxes, king pins, etc. 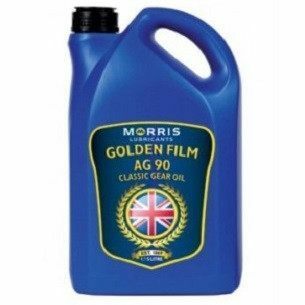 Golden Film AG Gear Oils are suited for use in equipment where the manufacturer has specified a non-EP lubricant. Golden Film AG Gear Oils are also safe for use in transmissions that contain phosphor-bronze components. Applications include Manual gearboxes, axles, worm gear drives, oil lubricated bearings, reduction gears/hubs, chains, steering boxes, king pins, etc. 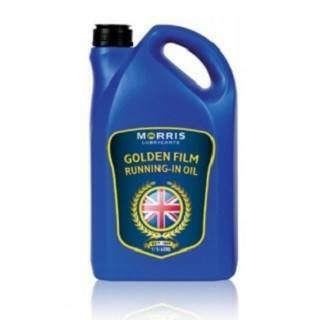 Golden Film Running-In Oil is a specialty product to be used for the running in of new or rebuilt petrol engines, where it promotes fast and safe bedding in of mating surfaces. Ensures the proper formation of oil retaining surfaces and extends engine life by reducing the possibility of bore polishing. Perfect for completed classic motorcycle restorations! 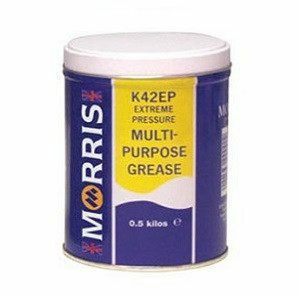 Recommended for removal of oil grease and dirt from metal, paintwork and concrete. Typical uses include cleaning used engines prior to overhaul, removing build-up on pipes and steelworks, cleaning concrete and brickwork. Many uses can be found in factories, yards and compounds, where oil and grease build up is a problem, or perhaps even dangerous for vehicles and pedestrians. Lydian is always more effective if it can be allowed to soak into the dirt and surfaces for several hours, or even overnight before hosing off. Do not use Lydian on Tarmac as it will soften this type of surfacing. It is also not advisable to use Lydian in parts washers with plastic components as its aggressive nature may harm them. Lydian is easily applied by spraying, brush or dipping. 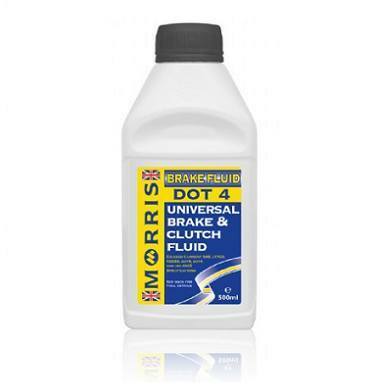 This is a technically sophisticated, DOT 4 spec brake fluid from trusted manufacturer, Morris Lubricants. Blended additives help prevent fluid oxidation, rust and swelling of piston seals. High boiling point for safe, effective performance. 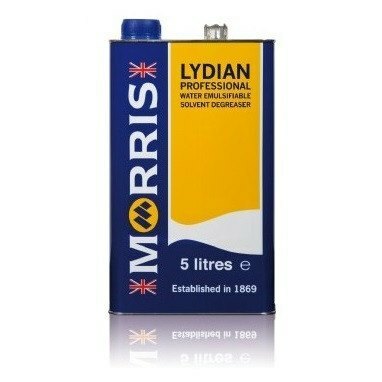 Morris Lubricants is a British, family-owned company that’s been manufacturing lubricants since 1869. 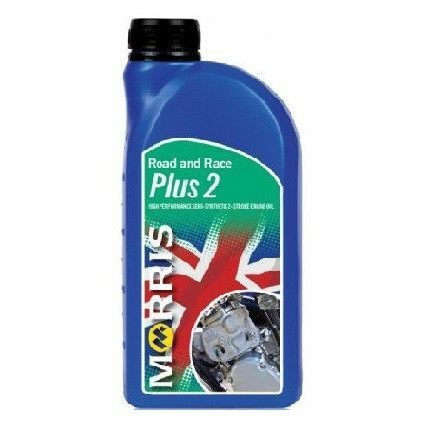 One of Europe's leading oil blenders and marketers, it provides a range of quality automotive fluids for OEM, and the aftermarket, including specialist products for vintage cars and vans and motorsport applications. Owing to international restrictions on shipping chemical fluids, we regret that this product is for delivery to the UK mainland only. Plus 2 is a high quality clean burning low smoke 2-stroke motorcycle oil. 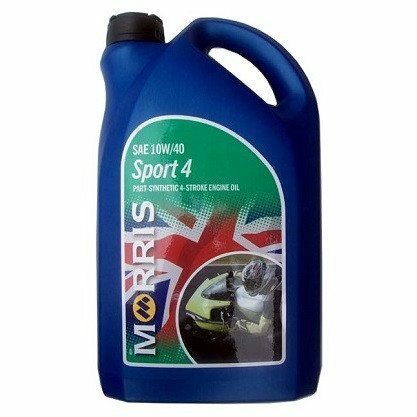 Developed using motorcycle racing technology to create an oil with high film strength, anti-wear performance and protection for big end bearing, rings and bores. Reduced carbon deposits mean less maintenance and cleaning of ports, and an extended engine life span. Suitable for all types of 2-stroke fuel systems whether pre-mix or injection. 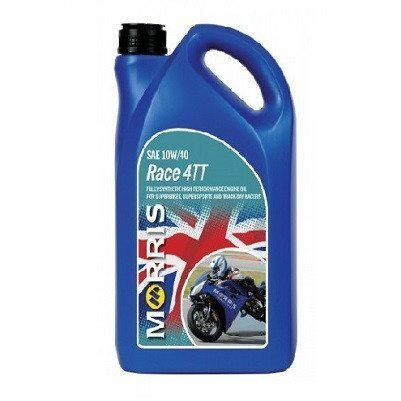 Ideal for high mileage bikes or for high stop/start usage due to it's reliability boosting qualities. Fully Synthetic Morris Race gear oil provides the highest possible load carrying properties for gears under high stress even at the high temperatures experienced in race conditions. Low fluid friction aids power and protection from start up and during races. Recommended for all types of race machines and competition motorcycles where 75w SAE 10w/40 is required. 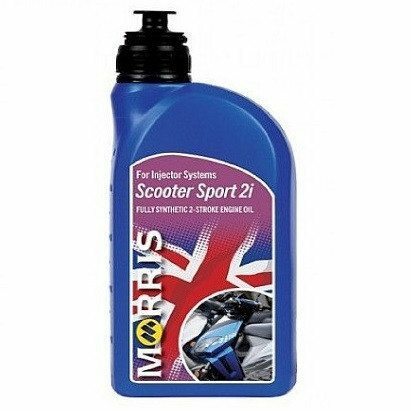 Scooter Sport 2i is the most advance two stroke oil in the Morris range, created with modern synthetic base oils and additives. Provides high film strength and anti-wear properties for big end-bearing rings and bores, therefore improving component lifespan, whilst virtually eliminating carbon deposits in ports and spark plug fouling. Recommended for 2-stroke engines with an oil injector system, and is formulated to keep the correct lubricating viscosity in all conditions. 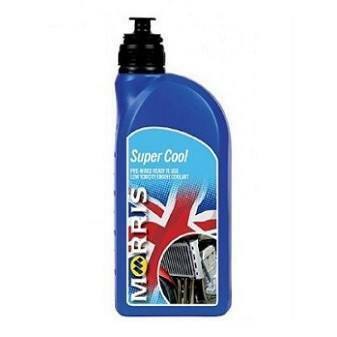 A ready to use, pre-mixed coolant with outstanding anti-freeze and anti-corrosion properties, Super Cool boasts low toxicity and gives anti-freeze protection down to -33°C. Designed for use as an all year round coolant to protect against corrosion and prevent the build-up of hard water salts and scale, so maintaining high cooling system efficiency for up to 2 years. Protects all plastic, rubber magnesium and aluminium components from the build up of harmful deposits.